Villazzo VillaHotels is one component of Villazzo, the boutique villa company well-known in the US and Europe, partly because it is one of the most expensive, and luxurious, and also because it is modeled on a unique hybrid, combining the boutique hotel and villa models into one. The Villazzo VillaHotel serves celebrities and their entourages, diplomats and their families and extended families, and the like. According to President and CEO Christian Jagodzinski, those who also use Villazzo VillaHotel services are large families, or smaller families who plan multi-family reunions. The Villazzo VillaHotel are large villas, with multiple bedrooms, ususally also with game rooms, workout facilities, pools, home theatre rooms, with boutique hotel staffs to serve the needs of each Villa guest. The VillaHotel staff includes a resort manager, personal butler, a bellboy, chefs and servers, bartenders, child care specialists and masseuses. None of the staff actually sleeps at the property; so guests have complete privacy. Two years ago, I stayed at one of the smaller Villazzo VillaHotels in Florida and found it an exceptional experience. The food prepared by the chef was great, the peace of the villas was outstanding, and the limo driver was always ready to take me wherever I needed to go. It was on par and often above the best destination clubs and private residences clubs I have ever sampled. Miami and Saint Tropez, are two high end destinations where Villazzo VillaHotels can be experienced, and recently Aspen, Colorado has been added to the list. Last month, Villazzo opened three new Villazzo VillaHotels, as well as an office to serve clients and their needs in a personal, high-touch way. There are three new VillaHotels, listed below. More images of the three VillaHotels are on page two of this post. The first is VillaHotel Natasha, pictured above. 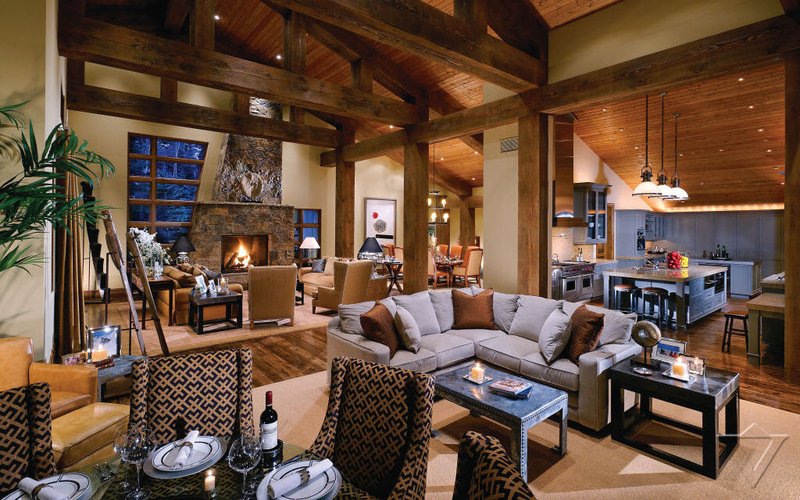 Located just 10 minutes from Aspen, the 11,000 square foot VillaHotel Natasha offers a private luxury ski resort, in a mountain contemporary style. 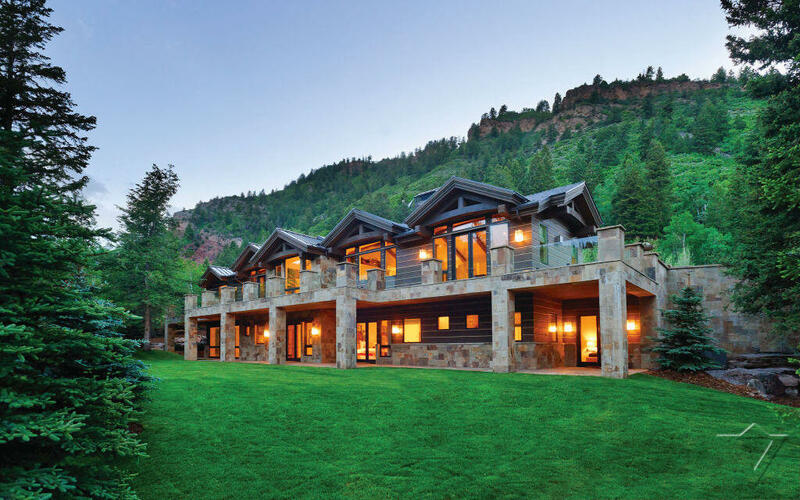 It is a 5 bedroom, 8 bathroom lodge-inspired Aspen luxury villa, featuring a large heated deck on the second level accessible to all of the bedrooms and looks out onto the 4.5 acres of private land. Inside, VillaHotel Natasha offers large living and dining areas with vaulted ceilings, roaring fireplaces, and panoramic windows, as well as a home theatre, billiard room, gourmet kitchen and wine cellar. 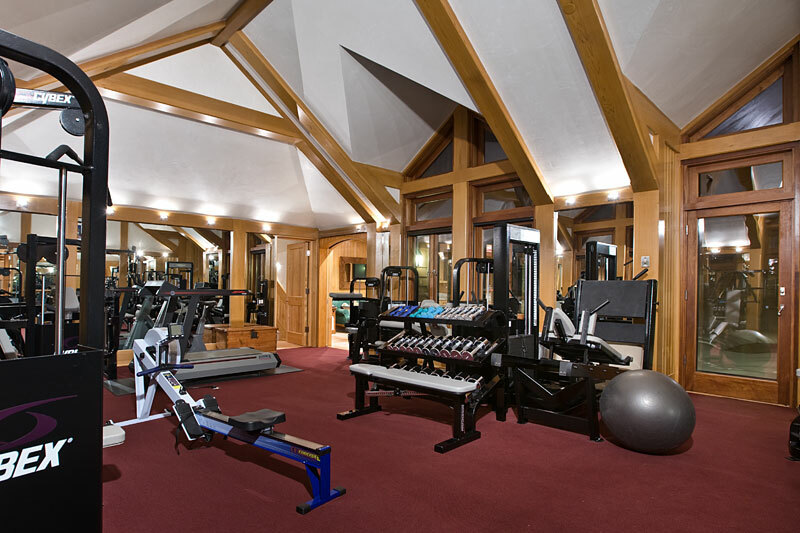 There is also a heated indoor pool and elevator to all floors. VillaHotel Natasha sleeps 12. Pricing ranges from $10,200 to $19,700 per night, depending on season. 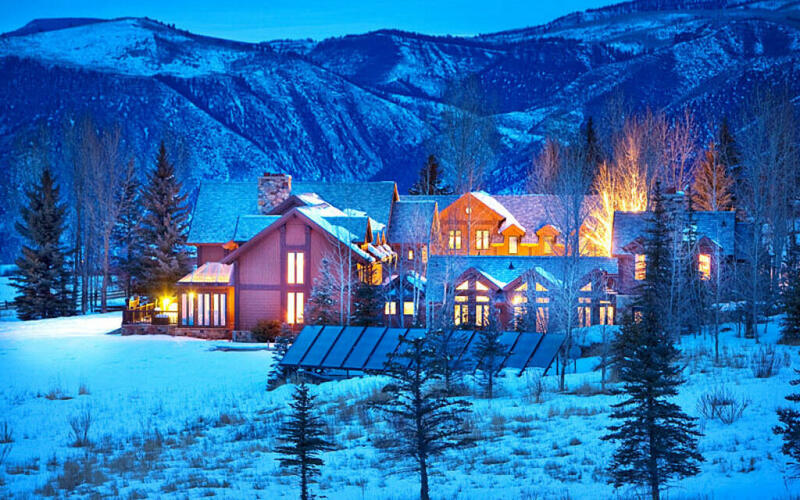 VillaHotel Pamela (see below) is a 10,000 square foot, 5 bedroom, 6 bathroom mountain contemporary luxury villa on picturesque wooded land, with outdoor dining areas, a cascading waterfall feature, and views of the Aspen Highlands, Red Mountain, Hunter Creek, and Tiehack. 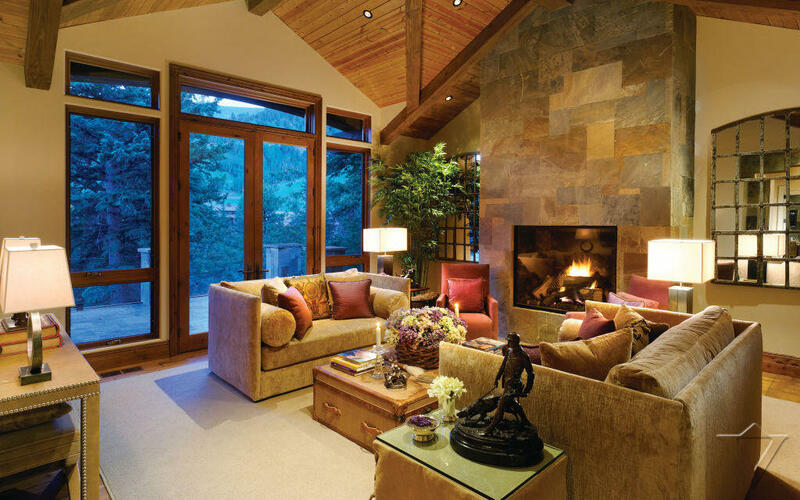 Inside, the 9,400 sq ft of living space, is a greatroom, combining living and dining rooms, together with a modern, gourmet kitchen, all feature large mountain-view windows. Pricing ranges from $8400 to $19,100 per night, depending on the season. 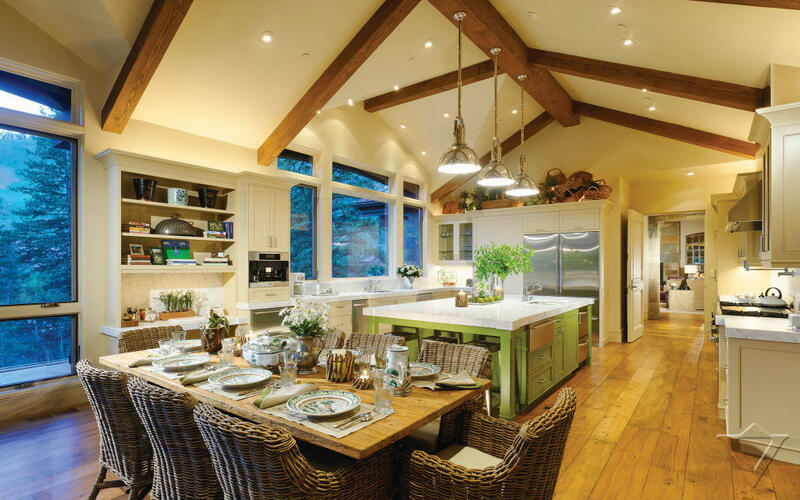 The VillaHotel Chantal (see images below), is a five bedroom, six bathroom villa that lies on 30 acres of pristine Aspen land, with exceptional views of the surrounding mountain range. 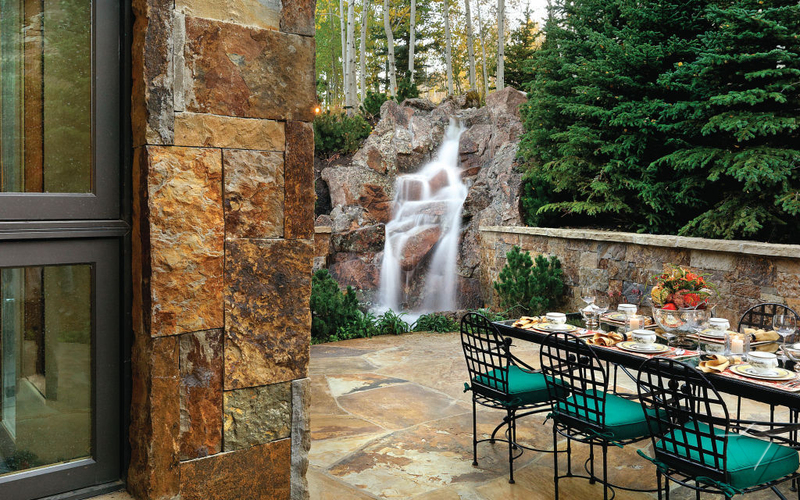 A heated swimming pool and long terrace allows guests to enjoy the outdoors, even in Winter. Inside, VillaHotel Chantal has 12,170 square feet of living space, as well as a home theatre room, extensive wine cellar, massage room, gymnasium, indoor Jacuzzi, game room, and piano combine with large, open living and dining areas and a gourmet kitchen. 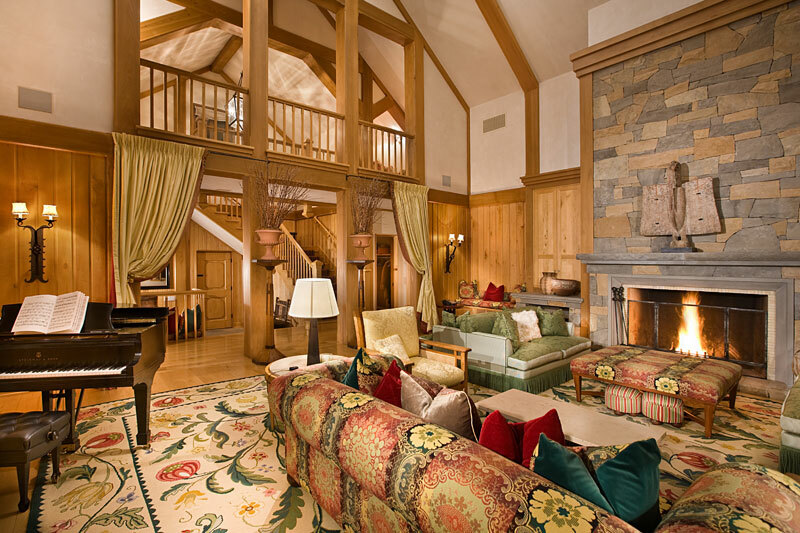 The pricing for this VillaHotel ranges from $6400 – $12,800 per night, based on season. In a recent interview with Christian Jagodzinski, Founder and CEO of Villazzo, he said, “Our industry deals with products you don’t need. So we design our villas to bring out the “need” in our clients. I have heard more than one person say, ” I didn’t know I needed this type of vacation. but I do!” With that said, and with the significant success of his VillaHotels, Villazzo is opening VillaHotels in Capri and Ibiza later this year. This entry was posted on Tuesday, March 1st, 2011 at 6:39 am	and is filed under Press. You can follow any responses to this entry through the RSS 2.0 feed. You can leave a response, or trackback from your own site.